A multimodal approach typically works best, with patient and client safety always top priority. "One of my favorite topics,” is how E’Lise Christensen, DVM, DACVB, owner of Veterinary Behavior Consultations of Colorado and Behavior Vets of New York City, described the subject of stranger-directed aggression in cats. At the 2018 Midwest Veterinary Conference in Columbus, Ohio, Dr. Christensen shared her perspective on this complex issue. 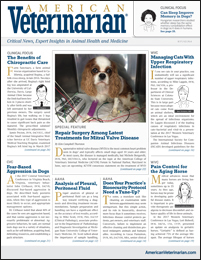 Most owners don't know how to approach their cat’s behavioral issues, according to Dr. Christensen, making the primary care veterinarian a valuable resource for providing management techniques. Although house soiling is generally cited as the most common feline behavioral issue, she said, at her 2 veterinary practices the predominant complaint of cat owners is intercat and human-directed aggres­sion. “Stranger-directed aggression is likely under­reported,” according to Dr. Christensen, and often a dangerous situation for families and visitors. Cats with this tendency are also more likely to show aggression during medical treatment, putting veterinarians and their staff at risk. When approaching the topic of aggression, Dr. Christensen said, the veterinarian’s main goals should be the safety of the cats and clients, and knowing where to find support. Many clients have preconceived notions that cats, unlike dogs, are either untrainable or will not show sufficient improvement with treatment. 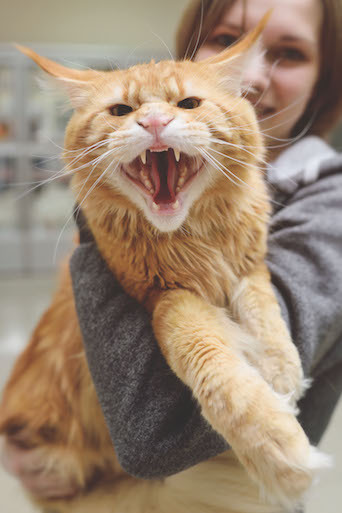 “Extremely dangerous cats do exist,” Dr. Christensen acknowledged, but she emphasized that several treatment options are readily accessible and effective for managing feline aggression. Particularly dangerous cats, she said, are in many ways more difficult to manage than aggressive dogs, because cats often aggress more rapidly and remain agitated longer than dogs do. “Even if families take action by separating a cat from a trigger,” she said, “they often don’t separate them long enough.” Behavioral arousal in cats can last from hours to weeks. Knowing the cat’s natural history can lead to under­standing its behavior, Dr. Christensen noted. It is important to remember that the domestic cat is both a predator and a prey species. Fear-related aggression in male and female cats can surface at any age, whereas territorial aggression generally begins during adoles­cence at approximately 9 months of age. Cats commonly claim both core and extended terri­tories based on where they prefer to rest and explore. In multicat households, one cat may claim the entire house, whereas another may roam just between its bed and the litter box.  Territories may also be tempo­ral and change throughout the day. “Even though 1 cat may have full social access to a location at a certain time, later that day, the other cat may have access to that location,” Dr. Christensen said. 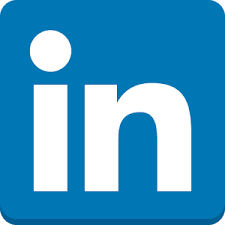 This concept needs to be taken into account if behavioral-manage­ment techniques include confinement or time-sharing of spaces. Grooming behavior between cats is not as common as generally believed, according to Dr. Christensen. Cats tend to restrict allogrooming to the head region of genetic relatives. Therefore, being stroked below the head and neck may agitate the cat and stimulate aggressive behavior. Cats may also recognize familiar family members by scent and may show aggression toward those who have been elsewhere. This explains why, upon return­ing home from a visit to the veterinary clinic, a cat may be attacked by the other household cats for a time. When a feline patient presents for aggression, take a thorough history first, Dr. Christensen advised. Questions should elicit from the owner how and when the behavior developed, the duration and targets of aggressive events, and the type of injuries inflicted. Obtaining family structure is also important, including the ages of all members and whether there are cogni­tive or behavioral issues within the family. Common warning behaviors for aggression include fearful posturing, hissing, swatting, hiding, growl­ing, biting, and tail chasing. If these behaviors occur more than once, cause injury, or induce persistent fear in one or more family members, then a proactive management plan must be developed. Excessive facial bunting, urine marking, and house soiling are all issues that may indicate aggressive tendencies. Cats that display intense play behavior also have an increased risk of developing aggression. Targets of aggression can be visitors, family members, or both. 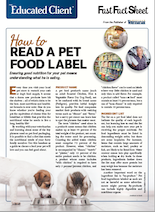 Dr. Christensen emphasized the importance of ruling out health issues, particularly if a cat is more than 3 years old and doesn’t have an obvious reason for behavioral changes. Many diseases can increase irri­tability, including hyperthyroidism, infectious agents (eg, toxoplasmosis), hypertension, neoplasia, osteoar­thritis, neurologic disorders (eg, seizures), and cogni­tive dysfunction. The diagnostic workup should include a thorough physical examination, complete blood cell count, se-rum biochemistry, urinalysis, thyroid panel, and radi­ography. Physical examination findings are usually unremarkable in aggressive cats, and pain may be difficult to detect, Dr. Christensen noted. Most cases of stranger-directed aggression initially present in healthy, young adult cats. Dr. Christensen listed the many subtypes that should be considered during the workup process, including fear-related, redirected, play-directed, petting-induced, pain-related, owner-directed, and learned aggression. Avoidance tactics: Decrease the cat’s exposure to common triggers of aggressive behavior. Safety: Keep cats and clients out of harm’s way. Environmental enrichment: Provide healthy opportu­nities for play and hunting behaviors. Desensitization and counterconditioning: This is most effective when coached directly by a veteri­nary behaviorist. It involves limited access to trig­gers, keeping the patient below the threshold for any signs of stress, and reinforcing positive behaviors. Medical and ancillary therapies: Use on a case-by-case basis. It is critical to determine the client’s ability to not just work on the problem but also actively manage it, Dr. Christensen said. Clinical signs often wax and wane, and clients may become upset with the veterinarian if recovery isn’t smooth. Also, family members may become lax with training techniques and management after a period of good behavior, resulting in a relapse of aggression. Reactive management of behavioral issues, which Dr. Christensen described as “putting out fires all the time,” is never as effective as proac­tively addressing the issue and making sure all family members are on board. Owners need to understand their cat’s body language and identify triggers of aggression when they occur, Dr. Christensen said. Common triggers include a ringing doorbell, loud voices, petting, or unfamiliar scents on a stranger’s clothing. Known triggers should be avoided as much as possible. Punishment is not recommended, Dr. Christensen added, because it tends to lower the threshold for aggression. Aggressive behavior can escalate quickly in the fearful cat, potentially causing injury to the owner or others through redirected aggression. Clients should have easy access to protective devices for use in emergency cases. A thick blanket or upturned laundry basket should be located in common trigger areas so the client can quickly cover the cat. In her experience, Dr. Christensen has found that using a glass of water or shaken seltzer spray is more effective than a water gun at stopping an aggressive event. Concentrated citronella spray can also work in emergencies. These are best reserved for severe, dangerous events rather than those limited to hissing and swatting without causing injury. Place the cat in a safe zone when strangers are around, Dr. Christensen recommended. Safe zones can include a spare room, such as a bathroom, or a multilevel cage covered with a towel so the cat can’t see visitors. The cat should be put there before guests arrive and remain there until after they leave. Most cats can be trained within a few days or weeks to go to the safe zone when the doorbell rings. If the safe zone is in the same room as visitors (not ideal), then they should be instructed not to look at, touch, or speak to the cat. With time, the cat may graduate from strict confinement to wearing a leash and harness around strangers, although visitors should still be instructed to ignore the cat completely. Placing a bell collar on the cat can ensure that its whereabouts are known at all times during visits. Many owners of aggressive cats feel that they cannot leave the cat with a pet sitter, but Dr. Christensen noted that cats typically do better with an in-home sitter than being boarded. The combination of a safe zone and medication may help reduce aggressive tendencies. Also, cats typically respond better to a single pet sitter used on a long-term basis rather than multiple sitters. Many methods traditionally used for dogs, such as the leadership protocol and Kathy Sdao’s SMART x 50, can be useful for cats. By reinforcing desirable behav­iors, these techniques can also be very effective in teaching cats patterns of positive behavior. However, Dr. Christensen emphasized that clients must watch for signs of frustration or irritation during training, because behaviorally aroused cats may turn to aggression rather than flight. Behavioral management protocols should always incorporate healthy, safe opportuni­ties for play. Dr. Christensen recommended feeding cats from puzzle toys exclusively whenever possible. 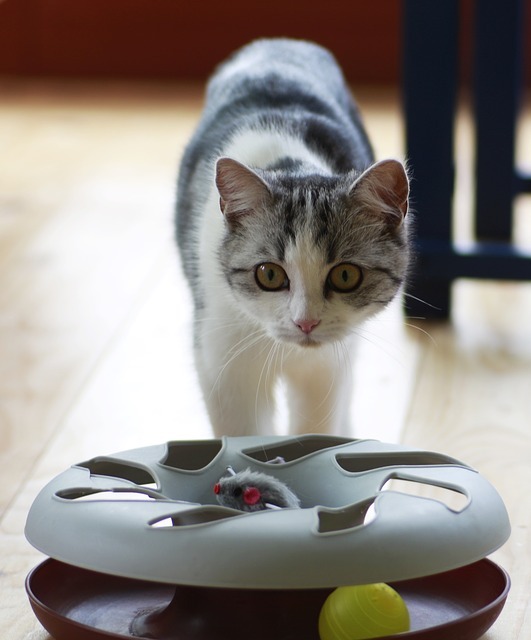 At least 7 minutes a day of interactive play is documented to decrease aggression, although 20 to 30 minutes is even better for cats that are interested. Hands should be kept out of the play zone to prevent bites. Dr. Christensen recommended Neko and Hexbug toys for interactive play. The home should provide multiple sources of envi­ronmental enrichment, including scratching posts and elevated areas for nesting and hiding. Dr. Christensen also advocated the use of clicker training, not just for pet cats, but also for those in shelter environments that are surrounded by strangers constantly. One unpublished study demonstrated that shelter cats given environmental enrichment had fewer upper respiratory infections compared with cats with no enrichment opportunities. Providing opportunities for positive interaction and play in the shelter envi­ronment, she noted, ultimately improves the animal’s welfare and adoptability. Medications intended for behavioral modification may be warranted for certain patients either on a continuous basis, during trigger times, or both. Dr. Christensen noted that all such medications are off-label in cats in the United States and should only be used after obtaining informed consent from the owner. Selective serotonin reuptake inhibitors, such as fluoxetine and paroxetine, are most effective when given daily, whereas other medications, including gabapentin and lorazepam, are more appropriate for trigger events. 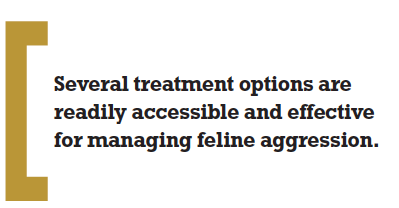 Ancillary therapies, including dietary modifica­tion and pheromones (Feliway), can be helpful when used concurrently with medication. Supplements that are marketed for their anxiolytic properties include Anxitane S (Virbac), Zylkene (Vetoquinol), and Solliquin (Nutramax Laboratories). Finally, Dr. Christensen mentioned surgical options for behavior modification, including dental disar­mament and front claw declawing. Alternatives to declawing also can be considered, such as Soft Paws nail caps and teaching the cat to be comfortable with nail trims at home. She noted that surgical alteration tends to be a “last resort” option for extremely difficult behavioral cases, often when clients are considering euthanasia. Although both dental disarmament and front claw declawing are controversial, she mentioned that practitioners should be open to discussing the pros and cons of surgical options, whether they offer them or not.